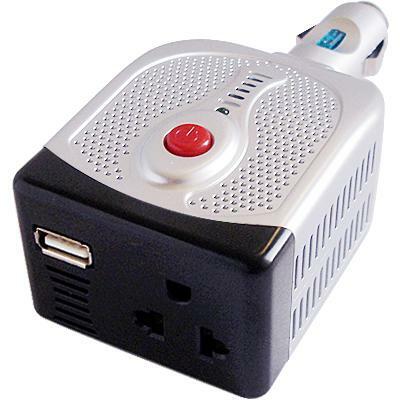 High performance Car Power Inverter. Easy, convenient way to charge the battery in a vehicle. It can converter the preserved DC 12V of the vehicle battery into the AC110V 50Hz that is suitable for the appliances. It can power laptop, Cellphone, Digital Camera, Digital Video, PDA, MP3, portable media players and other devices. It is a best choice.